The FG800 is a great acoustic guitar which we ranked at number 5 on our best Yamaha acoustic guitars list. 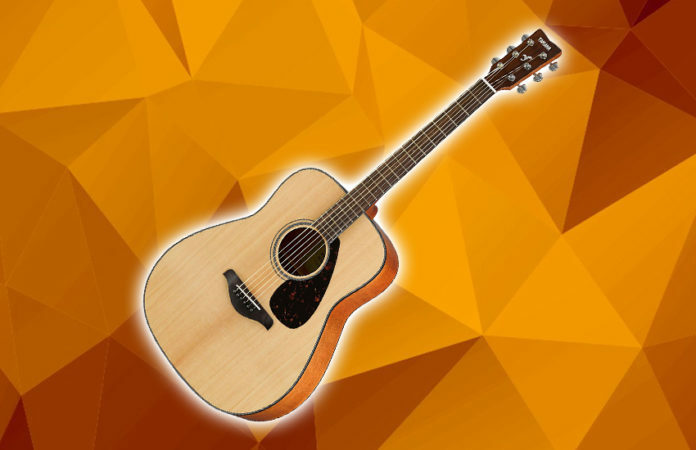 If you’ve been searching for a decent guitar with a high-quality sound that comes at a reasonable price, then the Yamaha FG800 might just be your ideal option. Let’s get more into details and reveal what’s so special about this acoustic guitar. 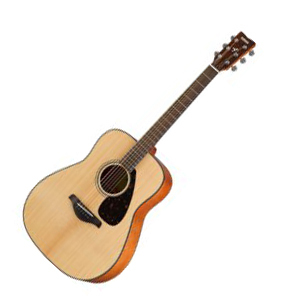 If you guys didn’t know, the Yamaha FG800 is one of the best-selling acoustic guitars of all time, and not by random, but due to its premium quality sound and its remarkable construction. To begin with, this guitar comes in two versions, acoustic and acoustic-electric, so you might have to think carefully on what you want, but hopefully, until the end of this review, we hope that we clear your doubts about that. Also, you can even choose the size since it comes Dreadnought and Concert, but either way, no matter what you choose here, it’s still a win-win for you. Now, similar to other guitars at this price range, the Yamaha FG800 has a standard neck that feels comfortable and smooth, while this Dreadnought piece originates with a solid Sitka spruce top, nato back and sides, and a body that emphasizes a new scalloped bracing, making the top board more durable without reducing much of its ability to generate a great sound. As Dreadnoughts go, you should know by now that this is a comfortable model to hold and feels very well and premium made, which isn’t always the same with other guitars at this price range. Additionally, the FG800 boasts a sleek glossy finish, black and white multi-ply binding, and a faux tortoiseshell pickguard on the face to give it some personality. Tonality-wise, the sound is well-balanced, while the dreadnought shape executes the sound quality warm across the frequency range particularly in the lower and mid-range. as it ages. Considering its price and sound quality, you can really get more value for the money. Now personally, I think that the FG800 is more suitable for beginners who are still learning to play the guitar, maybe parents and grandparents who want to give their children a guitar to start practicing with, or higher-level guitar players who just wish to have a guitar for jamming and practicing, either way, it is definitely a bang for the buck. For your information, the headstock is adorned with a set of sealed diecast chrome tuner that does its job very well as this guitar stays in tune. Meanwhile, there’s also a urea nut and saddle, along with a standard rosewood bridge at the bottom, so as you can see, you will be well assured with everything to make you feel confident. Moreover, during our research on this guitar, we didn’t really find any cons, because as we explained briefly, it won’t take you more than 10 minutes to fall in love with the FG800. Overall, if a decent high-quality acoustic guitar is what you’ve been looking for, and you didn’t have the budget for it, well, maybe this is your answer due to the fact that the FG800 offers a lot more value then its extremely affordable price.